Inder Loves Folk Art: Halloween dogs. 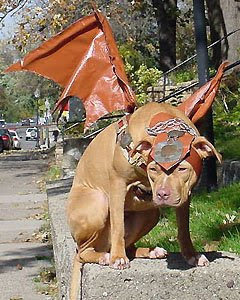 Have you noticed that dogs in costumes, no matter how outrageously cute, always look really unhappy? Still, this is the cutest gargoyle I've ever seen. Yeah, yeah, I'm still alive.